Circle of Shadows is the sort of book that once you get into the story you don’t ever want to put it down. When I was offered the chance to review this title I jumped at the chance because everyone has been raving about The Crown’s Game series by Evelyn Skye and I thought I need to see what all the fuss is about. Now having read Circle of Shadows I can see why there is so much hype. Evelyn Skye has managed to create such a gripping and well thought out story that will have you glued to every page and when you reach the end will leave you wanting more and more. Sora is the sort of main character you will fall in love with from the very start. I think to fall in love with a book you need to love the main character and with Sora that isn’t a problem because it takes no effort at all to love Sora and you quickly become attached to her. She is a strong and determined character who also has a heart and cares greatly for her friends, especially Daemon. Together they make such a brilliant team that it’s a pleasure to read. As I said this is the first book I have read from Evelyn Skye, even though I have had the The Crown’s Game and The Crown’s Fate sitting on my bookshelf for what seems like eternity. When I read the blurb for this book I immediately wanted to read it because it sounded like something I would really enjoy reading and I wanted to see why everyone was hyping The Crown’s Game series. After I read the first couple of chapters I found out my Evelyn Skye is hyped all over the book community. Her writing is engaging and addictive as well as being full of detail and heart. I quickly feel in love with Sora and one of the reasons was because Evelyn had created such a heartwarming and relatable character that is hard not to become attached to her. I felt so many different emotions reading Circle of Shadows and I think that’s another reason why I loved the writing so much because it made me feel so much. Once I started reading I couldn’t put the book down. I flew through each chapter and when I reached the end I wanted more. I could have easily read another hundred pages or so. I’m not saying the story lacked substance or the characters lacked depth because they didn’t. I just loved reading about the world and the characters that I could have easily read more. I managed to read this book in just a couple of sittings and I only really put it down when I had to sleep or go to work, any other free time I had I was reading. I thought the pacing was spot on and I didn’t find reading the book to become dull or boring. If anything the more and more I read the more I enjoyed the book. If you are looking for a new series to start this year then Circle of Shadows needs to be at the top of your list because its amazing and you will not regret reading this book. 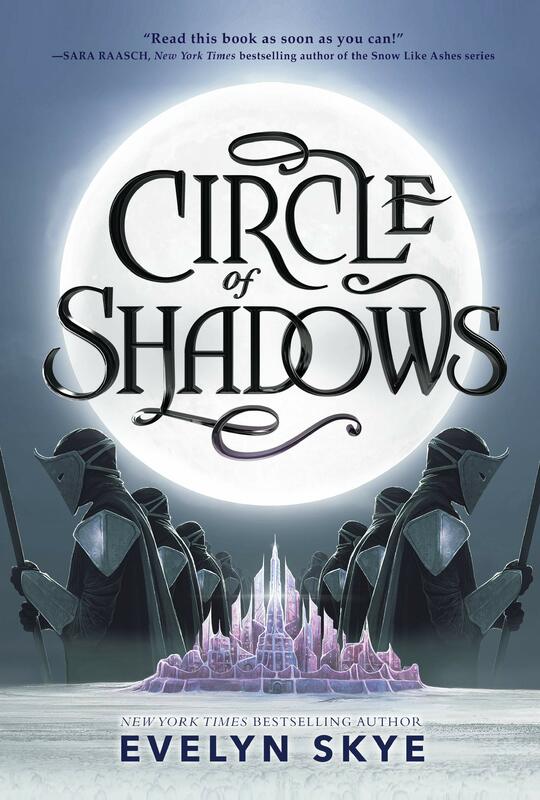 If you are looking for a book that will keep you glued to every page and transport you into this magical world then Circle of Shadows is most definitely for you. I loved every minute reading this book and I’m sure you will too.